nice hard case and quality zipper. 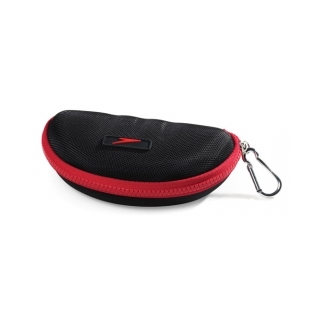 I normally hate black cases because I can't find it in my bag but red stripe/zipper helps. The Speedo Hard Goggle Case allows me to store my goggles outside of my bag where they can dry quickly without sustaining any damage. I ony wish the product would come in varous hues to match my bag and jammers.